This Sunday features a beautiful conversation that Vaani and I had with one of India’s most talented and loved singers – S.P.Balasubrahmanyam (simply SPB or Balu Sir to many)!! What do you do when you meet – finally meet – the man, listening to whose voice you have grown up? A voice that has stirred the most aesthetic, spiritual and romantic emotions in you – every single time that you have heard it? Well if you are Vaani, you just let go, you melt and dissolve in the magic and beauty of the moment, and you tear up. 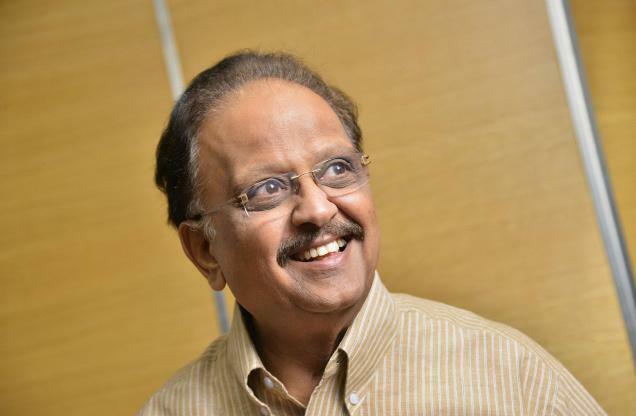 “I can’t believe this is true….that I am in your presence,” gushed Vaani while shaking SPB’s hands, even as he welcomed us warming into his tastefully done up living room. I was more reflective. I found a sliver of time between the hellos, welcomes and thank-yous that we exchanged, to let “Manram Vantha Thendrallukku, Manjam Vara Nenjam Ilayo” from Mouna Ragam (1986, Mani Ratnam, Ilayaraja, Vaali) seep through my inner consciousness. It is my absolute, all-time favorite SPB number. And I sent a prayer in gratitude to the Universe, to Life, for creating and nurturing this man, so that his exceptional voice could light up our lives! 69-year-old SPB will start his 50th year in playback singing on 15thDecember this year – he made his debut in 1966 with a Telugu song in the film Sri Sri Sri Maryada Ramanna. So I ask him the most logical question: Does he feel happy, accomplished…? SPB adds that he is also grateful for his father’s native wisdom. When he had approached his father, soon after testing the waters in playback singing, not sure if this would be the right career to earn a living, asking if he should go back to leaning on his training in engineering, his father only told him “not to ride two horses at the same time”. “His advice was suggestive, not directive. I chose singing because it made me happy while engineering did not give me that sense of joy. I taught myself to sing better and continue to learn to sing better with every new song and every new music composer I work with. I sing both for my inner joy and to earn a living. It is so humbling when people come to me and tell me that they feel I have sung a song especially for them. Hearing this makes me fulfilled and happy,” explains SPB. That’s an exacting standard to live by for anyone. But here’s a man who’s lived by it for half a century – for almost as long as Vaani and I have been on this planet – and is still singing at his peak. How does he do it? What’s the secret of his longevity in the business and of his continued relevance across at least three generations? “I start each day with a simple question – how can I enjoy myself today? I don’t worry and I don’t entertain any insecurities. I work hard when I am I asked to sing. And when I am not singing, I am living my Life fully – hanging out, having fun!” he reveals. 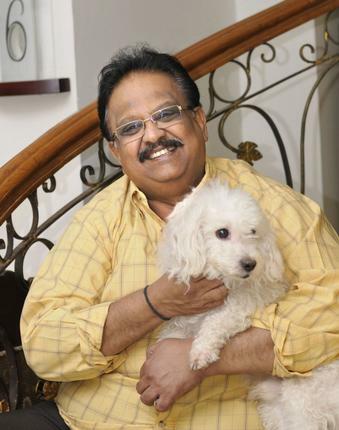 I am keen to know how SPB remains anchored, grounded – anyone with a Padma Bhushan, 6 National Awards and several Filmfare Awards, with 40,000 songs and with such devotion from an ever-growing fan following can get carried away, right? “I was inspired to take up singing by listening to Mohd. Rafi; I have worked for composers like K.V.Mahadevan, M.S.Viswanathan, Laxmikant Pyarelal, Naushad, O.P.Nayyar, Panchamda, Ilayaraja and A.R.Rahman; I have sung alongside greats like S.Janaki, P.Susheela, Lata Mangeshkar and so many, many more accomplished artistes…how can anyone have an ego if your career has evolved among such legends? In front of them I am a nobody. If I am a somebody it is because of them, their love, their support and encouragement,” he says, playing down my question. My takeaway from the conversation we had with SPB is this – do what you love doing, do it very well, live in the moment, enjoy each day, fear nothing, worry about nothing and you will be happy all your Life. I guess that’s too simple a way – in a single line – to summarize the Life and work of a man whose voice has stirred and enriched our souls for 49 years! But that’s really who SPB is. Simple, professional, humble, gifted, and above all, blessed. The first rains of the North-East monsoon drench Chennai as we leave his home. On our ride back in an Uber, an FM station plays a rare SPB number, the title song “Ninaithale Innikkum”, from K.Balachander’s 1979 movie of the same name (M.S.Viswanathan, Kannadasan). I think of the 90-minutes we had just spent with SPB and I exclaim to Vaani, “How serendipitous!” This is one memory which, when we think back at any time in the future, will be among our most precious ones – “Ninaithale Innikkum”!